You know how I love to send out something a little different when it comes to stationary so our Christmas cards or more like tiny gifts for our family and friends. This year's package contained a silver and gold sharpie marker along with our wishes for a "remarkable" new year. Get it? I love the season and I hope our holiday cards bring a little bit of the joy into the home of everyone who receives one. Missed prior years Christmas mail? Check them all out here: Seasonings Greetings (2012), Merry mints (2011), Ho Ho Hos & Xs & Os Lip Balm, A Clean Start Tea Towel (2009) and before the blog greetings (2004-2008). credits: photos used for the card were taken by the lovely liz clayman, custom address stamp made by besotted brand, envelopes and stamp used as address label from paper-source, designed and assembled by me. Oh this melts my heart! I think I'd be grinning all day if I got a gold sharpie in the mail. On top of that confetti!! Now that is my kind of mail!! I'm still LOLing at that shot of you both holding Agatha upside down. Priceless. Happy Holidays friend!!! Oh gosh, you are so creative. I'd love getting one of these so so so cool !! wow -- how do I get on that hallowed list?!?!?! amazing...so creative and a joy to open, I'm sure! Always love seeing what you come up with! Do you get your envelopes printed or do you use stamps for your return address and the quatrefoil on the front?  Tis the Season when I wish, I was on the Limestone mailing list! Always look forward to seeing what you come up with every year, and you never disappoint! Thanks so much for sharing this, and may you and your sweet family have a very merry and blessed Christmas! Amazing! Love your personalized message and cards. Merry Christmas! Genius. Now stop making the rest of us look so bad.